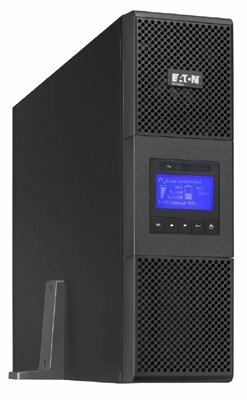 The Eaton 9PX 6kVA Tower UPS system single phase input and output with parallel operation option for additional scalability or resilience and an integral battery (up to 8minutes with a typical load) to provide on-line double-conversion power protection with automatic bypass and power factor correction. The UPS has a 0.9 power factor output to provide more real power (28%) than traditional on-line UPS for modern IT equipment loads. 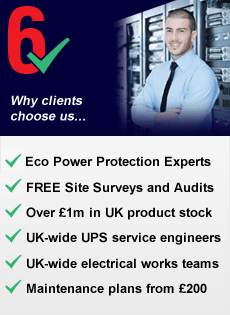 The UPS can provide up to 95% efficiency in full on-line mode. The 9SX can meter energy consumption in kWh and display this on the front panel LCD or via remote monitoring using the Eaton Intelligent Power Software suite. The LCD can be adjusted for viewing angle and the UPS and the UPS is Energy Star rated for efficiency. 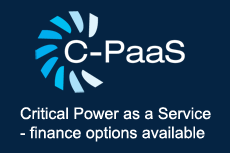 The UPS is supplied with a separate maintenance bypass. 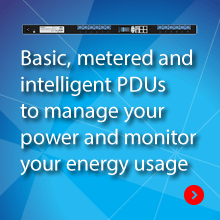 Load Segment Control: to enable prioritized shutdowns of non-essential loads to maximize battery runtime. This feature can also be used to remotely reboot locked up network hardware or to manage scheduled shutdowns or sequential start ups. Maintenance Bypass: separate hot-swappable bypass. Remote Communications: RS232 and USB port with an expansion slot for an optional communications card (SNMP/WEB/Relay Card MODBUS/JBUS and volt free contacts). 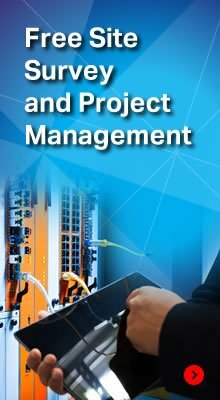 Supplied with Eaton Software Suite CD including SNMP compatible power management software.